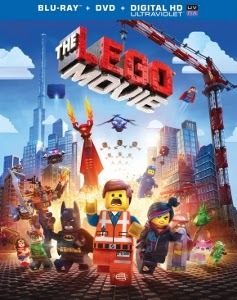 When a movie is as seemingly universally loved as The LEGO Movie, one can’t help but come across as curmudgeonly for disliking it. As much as I really wanted to lose myself in this admittedly visually-adventurous blockbuster, I couldn’t help but feel I was stuck in an overly frenetic commercial. A commercial for what? For LEGO toys, for LEGO games, and for the various franchise characters that pop up throughout (Batman being the most prominent, among other DC Universe superheroes and much more). At 100 minutes, The LEGO Movie ultimately outstays its welcome, suggesting that a 20-minute TV series might be able to better maintain the concept’s freshness. It’s not without wit (there are more than a few jokes that older viewers will appreciate), but it’s just so brazenly over the top and frenetic that it never feels like the classic many have proclaimed it. It’s all light, frothy, and more than a bit overbearing fun until a particularly boneheaded third-act twist. Discontinue reading if you wish to avoid a very big spoiler, something I can’t avoid discussing in order to convey my main reason for disliking the movie. So now that you’ve been warned, here’s the climactic spoiler: we’re suddenly pulled into the “real world” live action, where we see that the entire story we’ve just seen has sprung from the mind of eight-year-old Finn (Jadon Sand). He’s been in his dad’s basement playing with elaborate LEGO sets that he’s forbidden from messing with. Who’s his dad? Will Ferrell of course, the man who Finn based Lord Business upon. By establishing that such a young child conceived this hyper-meta story (with bizarrely anti-capitalist leanings, considering the movie is based on a highly profitable corporate product), we now have to buy that he is clever enough to have dreamed up all the self-referentialism and irony we’ve just witnessed. Only an adult mind (or in this case minds, specifically those of co-directors and writers Phil Lord and Christopher Miller) would have the perspective and experience needed to concoct a story like this, but now we are told it was the product of an eight year old. The LEGO Movie wants to be a celebration of the imagination of a child, but the story simply doesn’t fit the thought process of someone as young as Finn. Aside from that, the live action mash-up just flat-out breaks the spell that was cast by animated sequences, pulling us out of the fully-imagined LEGO world without good reason, plopping us right down in a pedestrian vision of real life. Onto the technical specs: the combination of real plastic LEGOs and digital animation makes for a sumptuous visual experience, best appreciated on this excellent Blu-ray. We’ve all heard the cliché about colors “popping” from the screen, but it really does apply here. I can’t imagine the visual effects looking better. The audio is DTS-HD MA 5.1 surround and it too fires on all cylinders. Hopefully you like – or can at least tolerate – the theme song “Everything is Awesome,” because you’ll hear it quite a bit, with a hefty amount of LFE activity booming from the subwoofer. The LEGO Movie is spectacular in terms of sights and sounds. A whole slew of featurettes complement the LEGO Movie Blu-ray, none of which really offering much insight into the film’s creation. These are mostly kid-friendly, bite-sized bits and pieces, where a serious “making of” would’ve been a nice inclusion. Still, there’s plenty of bang here for the buck. Fan-made LEGO shorts, deleted scenes, outtakes, and mini LEGO-building tutorials will keep fans busy for awhile. A group audio commentary with writer/directors Lord and Miller and several cast members offers a lot of joking around, but again no real attempt is made to communicate useful info about the production. I’m in the vast minority about The LEGO Movie, as more than $250 million at the domestic box office and stacks of glowing reviews will attest. In terms of giving kids, families, and the young-at-heart something to cheer giddily for, The LEGO Movie admittedly does what it sets out to do. I’m honestly not trying to be a total killjoy here, I simply don’t find this movie lingering in my mind the way a truly outstanding animated adventure can.